Birch trees have a special charm and beauty and the River Birch is a medium-sized tree that usually grows to around 40 feet or more in height. It will grow 2 feet a year, and even 3 feet a year in warmer areas, so it rapidly matures into an attractive specimen that will grow from zone 4 through zone 9. It has attractive peeling bark in many shades of pink, red and tan and makes a lovely picture in the garden, when in leaf and during the winter months too. River Birch is especially useful for wet, clay soils and will even grow in flooded areas, as well as growing in regular garden conditions. 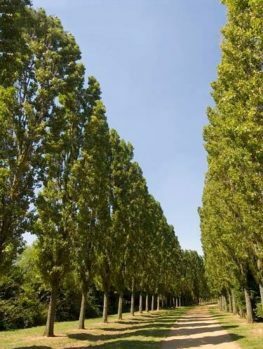 If you are looking for a hardy, easy-to-grow tree that will fit into any garden and add charm all year round, or if you already know birch trees and need one for a hotter region, then the River Birch is an ideal choice. Birch trees are charming and popular trees, notable mostly for their rapid growth and their attractive bark. 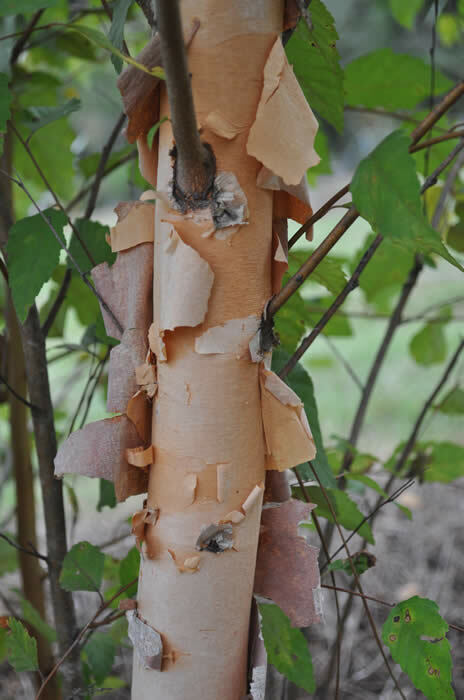 Many people are familiar with the white-barked birches, but there are serious problems in growing them, mainly a nasty insect called the birch-borer, which burrows in the trunk and kills the tree. The native River Birch is, however, resistant to that insect and so lives much longer and will not suddenly die, as white birch do. It also has beautiful peeling bark, in many shades of pink, orange, tan and dark-red, making a colorful show in the garden, especially in winter and spring. 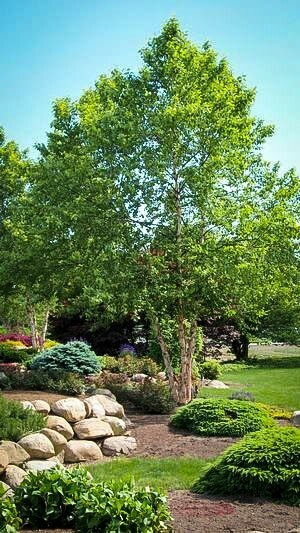 The River Birch is a popular native tree and because it is so adaptable and dependable it is often in high demand. We constantly receive new stock, but shortages can arise, so order now to avoid disappointment. 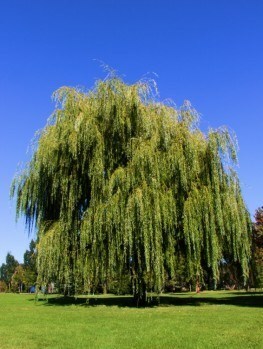 The River Birch will quickly grow into a graceful tree with slightly pendulous branches and a unique lightness that only birch trees have. The beauty of their bark, their thin twigs and delicate hanging leaves all create a light and airy effect, quite different from denser trees like Maple. This means they are good choices for the smaller or medium-sized garden because they will not dominate the area or create a lot of dense shade that can be hard to grow other plants in. 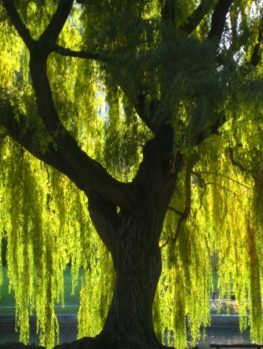 They will not cause damage with their roots so River Birch can be planted closer to buildings and sewage pipes than many other trees. Most birch trees need cooler weather to do well, but the River Birch is happy in hot, humid weather, so it is an ideal choice if you live in a warmer area such as the the South, where other birch trees will not do well. It is hardy in zone 4, all the way into zone 9, so it can be grown almost anywhere. The River Birch can be planted in heavy clay soil that is often wet and can even be planted in flooded soil, so it is an ideal choice for low-lying areas of your property, or along river banks. It will also grow in regular soil and does best in soil that is acid to neutral, and is not an ideal choice for alkaline soil. If you have that kind of soil, the Autumn Purple Ash is a good choice for an alternative tree. Plant the River Birch as a single specimen, or as a beautiful group of 3 or 5 trees, since Birch always seem to look lovely in a group. 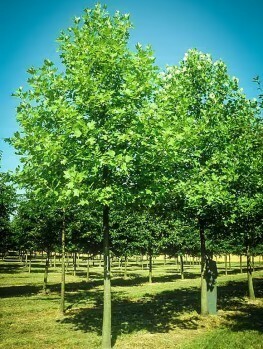 This tree also makes a great fast-growing boundary tree to your property, or a wind-break. Because it thrives in wet conditions it is also great for preventing river-bank erosion. The River Birch (Betula nigra) is an American native tree that grows naturally throughout the east, from New Jersey to Georgia and from Texas to Nebraska. It is usually found in swampy areas and low-lying regions subject to flooding. Other birch trees are found further north in colder areas and up into Canada, so the River Birch is unique in its heat-tolerance and ability to grow in warm regions. 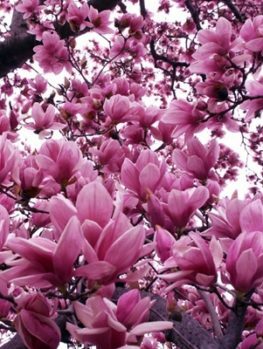 Although it does not occur naturally further north than zone 6, it is actually hardy right into zone 4, meaning that this tree will grow in gardens across the whole country except for southern Florida and southern California. 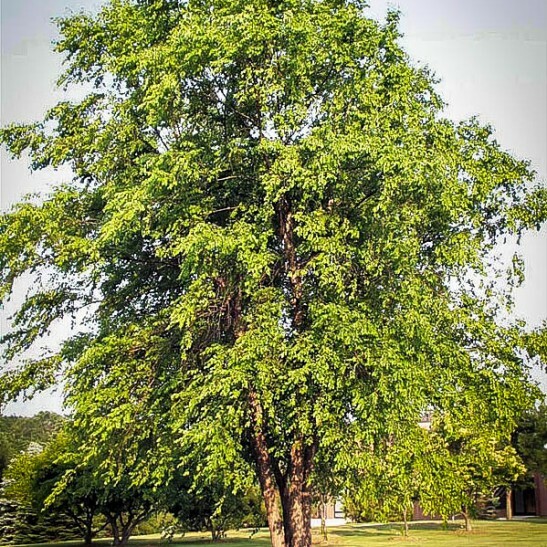 The River Birch is a medium-sized tree that can reach 40 to 70 feet in height and be 25 to 50 feet across, but it is usually smaller, especially when grown in normal garden conditions. The largest sizes are reached when it has access to unlimited amounts of water. 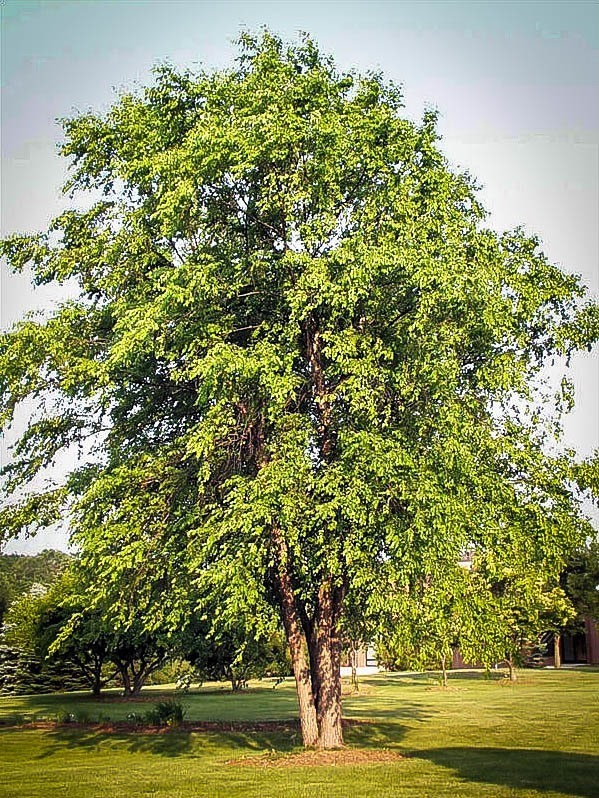 The main feature of this tree is the bark, which is an attractive pinkish-brown color and peels off in a picturesque fashion, revealing new, lighter-colored bark below and giving even young trees lots of character. Older trunks eventually become ridged and dark-brown in color. The leaves are up to 3 inches long and 2 inches wide, a triangular-oval shape and pointed toward the tip. There are tiny soft teeth along the edges of the leaves. In fall the leaves turn a wonderful shade of soft yellow, like a glowing candle in the sun. 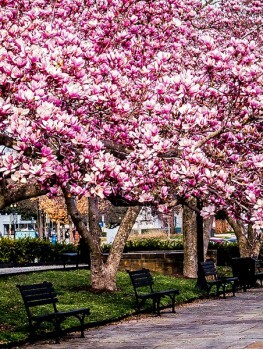 Once your tree is a little older you will see it flowering in early spring, before the leaves. The flowers are tiny, in narrow clusters called ‘catkins’ that hang down and are 2 to 3 inches long. Although not showy they are interesting and add a charm to the tree as the seasons change. Choose a sunny location for your tree and place your tree at least 15 feet from a building, swimming pool or septic system and 8 feet from a driveway. 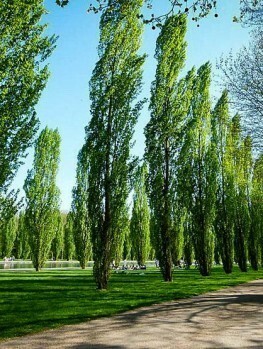 If you are creating a group of River Birch, trees can be planted within 3 feet of each other to form a clump, or further apart, perhaps 10 feet, to make a grouping. For a boundary row or along a stream, allow 10 to 15 feet between trees, depending on how dense you want the row to be. To Plant your River Birch, choose a location in damp soil and dig a hole that is three times the width of the pot and just a little deeper. Add some organic material to the soil you have removed from the hole and place your tree at the same depth it was in the pot. Replace most of the soil and firm it down well around the root-ball. Fill the hole with water and wait for it to drain away, and then replace the rest of the soil. Water your tree well every week for the first year and then when the soil becomes dry. The more water you give this tree the faster it will grow.